BRIGHTON, Mich. - Ford Motor Company has announced that a dirt-detection technology will be introduced at a Ford Plant to ensure that the paint job on Ford vehicles is as close to perfect as possible. Currently, the technology is being used at the Kentucky Truck Plant in Louisville, the Dearborn Truck Plant in Michigan and the Valencia Assembly Plant in Spain, but it will be introduced at the Louisville Assembly Plant. This dirt-detection technology uses high-resolution cameras and reflected light to identify imperfections or dust on a vehicle. With the ability to detect flaws finer than a grain of sale, this system allows vehicle assembly operators to identify even the smallest imperfection and buff it out. This keeps your vehicle's paint job looking flawless! The current system is not as effective, since it is simply the operators using light, white gloves and their own eyes to identify flaws. As the human eye can only detect so much, this system has its weaknesses. 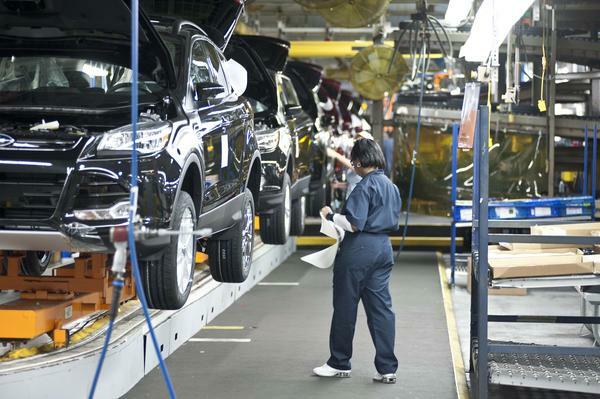 With the dirt-detection technology being introduced at Ford Plants, the percentage of vehicles with paint flaws is expected to be reduced drastically. Already, Ford has reported that customer complaints of vehicle surface finish has been reduced by 82 percent within one year. If you'd like to see Ford's perfect paint job in person, stop by our Milford Area Ford Dealer today! We have a large selection of New Ford Trucks and New Ford Cars, all with impeccable surface quality. Brighton Ford is located at 8240 Grand River Ave. just north of I-96 in Brighton. We are a family owned and operated business that strives for customer satisfaction. For more information on Brighton Ford visit BrightonFord.com or give us a call at (800) 836-8206.